I love my collection of vintage cases! Just stacking them all together adds some decorative interest to the room. I happened to have found mine from three different stores on different days and they seem to be somewhat related to each other. The first suitcase that I found was the one with the Winsom Tailors name and address on it. This one is my favorite and a fun one to display all on it’s own. However, I figured that the plain brownish black rustic looking cases would make a great base to give it a little more prominence off the floor. 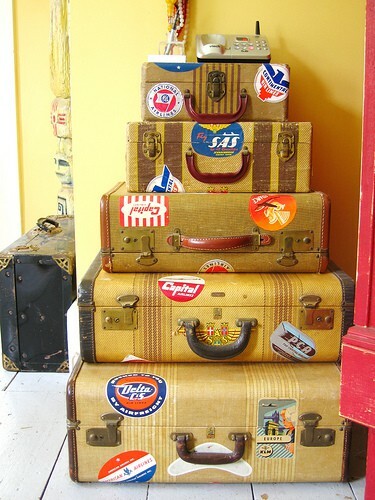 If you can find suitcases in a similar theme, it makes it easy to group them together. Sometimes you can get lucky and find a great vintage three or four piece set. I have even seen people paint a variety of different colored suitcases in the same color, like white, and then group them together. 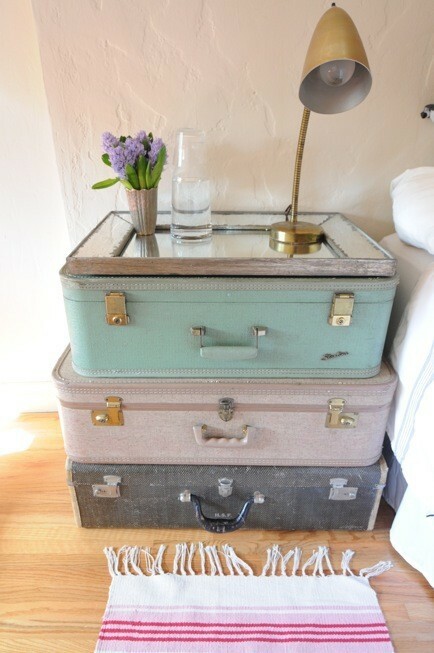 Besides the eye appeal, decorating with vintage suitcases also affords you some extra storage space. Just fill those cases with office or craft supplies, extra blankets, or even out of season clothes. 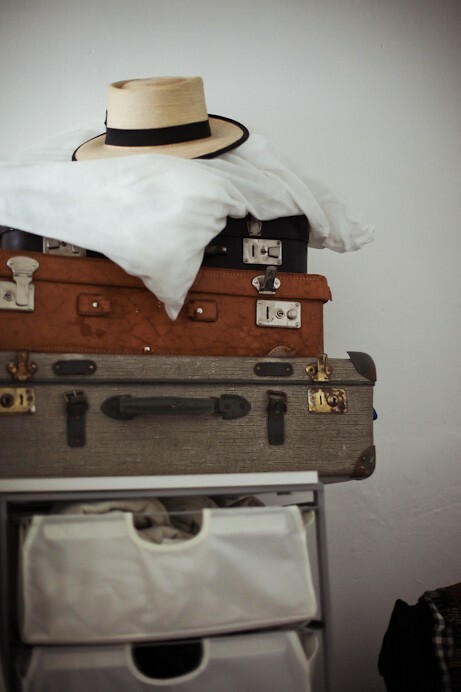 I found lots of fun ways to stack suitcases in decorative groupings to share with you. These would look great sitting out at a wedding reception or party! This is almost like a stair step with descending sizes for each case. It makes a fun display with the similar designs and travel stickers. 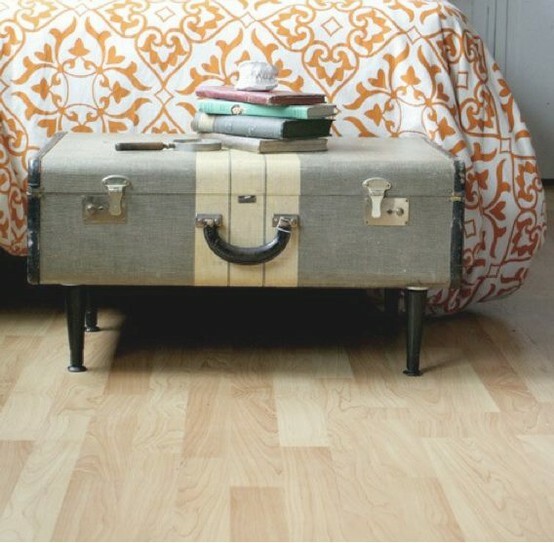 You could also make your vintage stack into a useful bedside table. The mirror makes a great “table top” to this pastel collection! I love this rustic chic collection! Just add legs and you have a beautiful table! You could use one like this to store blankets at the foot of your bed. I just love this idea! 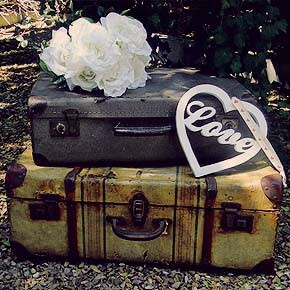 Do you collect vintage suitcases? If so, how have you used them in your decorating? Your end table idea sounds really cool! Too bad it was stolen :(. I hadn’t seen any of the shelves yet but that would be a great use for damaged cases! Thanks for the idea :). a picture is worth a thousand words” is true for many, many situations. This famous quote even applies to home decorating. Many people draw their inspiration for their decorating projects from home decorating pictures.